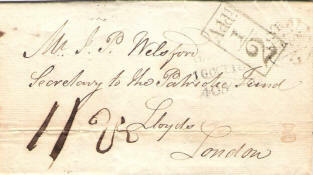 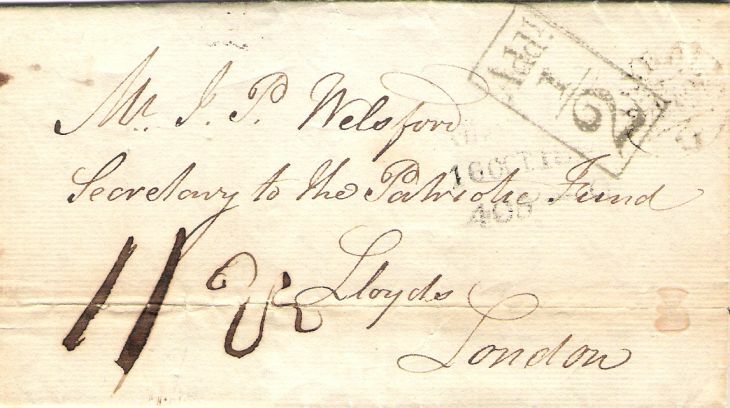 "Maybole, County of Ayr, North Britain", dated 17th October 1814, to the Secretary of the Patriotic Fund at Lloyds of London. 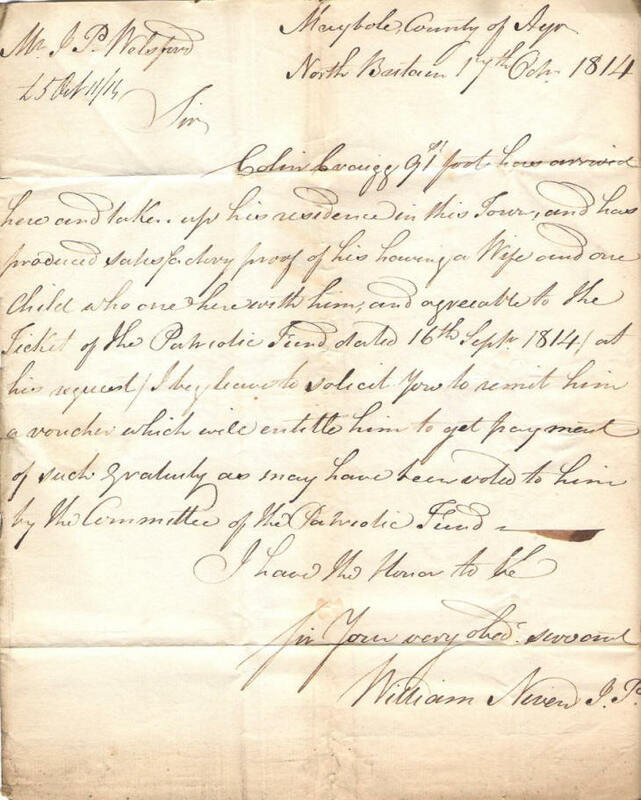 Colin Craig (of the) 91st Foot has arrived here and taken up his residence with this town and has produced satisfactory proof of his having a wife and one child who are here with him and agreeable to the ticket of the Patriotic Fund dated 16th Sept 1814 at his request I beg leave to solicit you to remit him a voucher which will entitle him to get payment of such gratuity as may have been voted to him by the Committee of the Patriotic Fund. 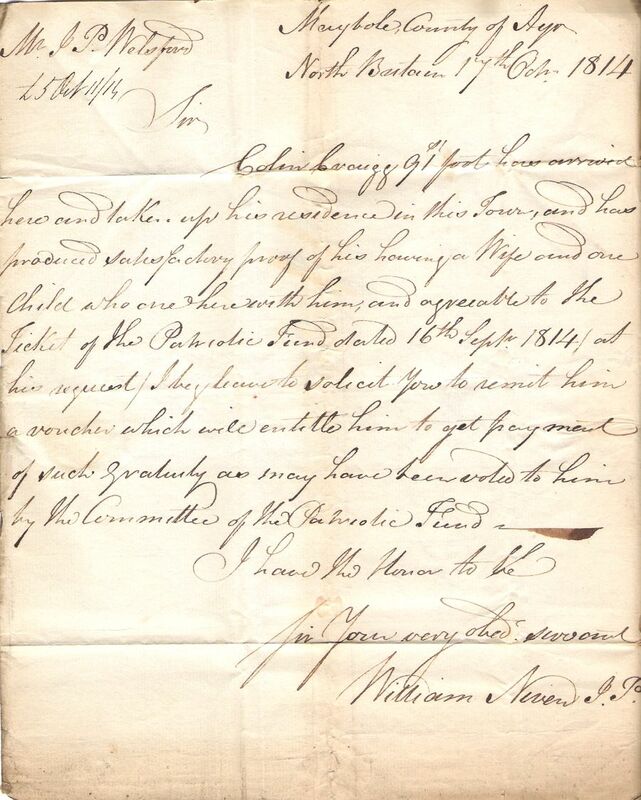 I have the honor to be the ___ your very servant William Niven J.P.